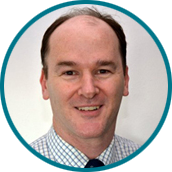 Dr Hugh Spalding graduated from the Melbourne University medical school in 1996 and completed physician training in gastroenterology and hepatology with rotations in Brisbane at the Mater Adult Hospital, the Princess Alexandra Hospital and the Gold Coast Hospital. His interests include general hepatology, luminal gastroenterology and endoscopy with a focus on inflammatory bowel disease. Prior to medical training Dr Spalding studied veterinary science and completed a Ph.D. on aspects of the immune system. Other interests include bushwalking, music, woodwork and fishing. Special Interests:General Gastroenterology and Hepatology, luminal gastroenterology and endoscopy focusing on inflammatory bowel disease.